Meizu recently launched the Meizu Pro 6, successor to the popular Meizu Pro 5. In its new iteration Meizu has managed to correct some of the "mistakes" made in the previous generation while also adding some interesting new features. Today we take a look at the pros and cons of the Meizu Pro 6 to see if it's all it's cracked up to be or if it's just another smartphone. Ready? Let's go! Buy the Meizu Pro 6 at the best price on Gearbest! While it's true that one of the Meizu Pro 6's biggest pros is its quick charge feature, the battery life in and of itself is one of the smartphone's biggest cons. You see, it doesn't take a scientist to figure out that a 2520mAh battery isn't gonna get you very far when running a 5.2 inch Full HD Super AMOLED display. Meizu hasn't released any official numbers in regards to battery life but with the heat this phone's packing you can bet on a day's use if you're lucky. Also, as if that wasn't enough, the battery is non-removable therefore if you thought you could get passed this issue with a quick swap of batteries you'd be sadly mistaken. As it did with the Meizu Pro 5, the Meizu Pro 6 doesn't have a dedicated microSD card slot. On the contrary, the phone shares it's microSD card slot with the slot it has reserved for the other SIM card. Therefore the buyer must choose if he/she wants a dual SIM smartphone or a smartphone with upgradable storage. Considering the Pro 6 ships with 32GB of base storage (and you can buy a 64GB model as well) this shouldn't be much of a con but you never know. Picture the scenario; you left your house on a hurry and find yourself at a friend's house with your battery's capacity at 5%. You ask he/she for a charger but surprise, surprise, your friend only has your standard microUSB 2.0 charger and you can't use that charger on a USB Type-C port unless you have an adapter. That's just one scenario. There's also the scenario where you can't find your charger and instead of being able to make due with the dozen or so microUSB chargers you've got lying around the house you're forced to either find your phone's charger, buy an adapter or buy another USB Type-C charger which is much more expensive than your standard charger. The rear end camera on the Meizu Pro 6 is pretty good, one might even say great but what it lacks is an optical image stabilization. Sure, it's got a pretty decent software enabled stabilizer but it's never the same and for a "pro" phone we were kind of hoping for this feature to be implemented. Meizu has always done a pretty good job at balancing a good set of features with a low cut price. However, that is not the case here and the Meizu Pro 6's biggest con is that it costs way too much money. Much more than it's actually worth. 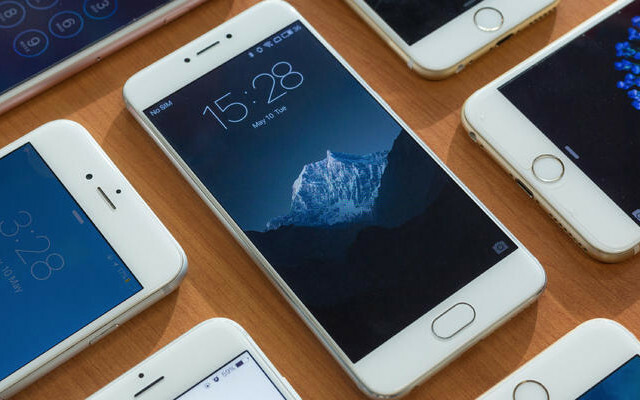 Prices will vary from one region to another but in general it's much more expensive than the recently launched Xiaomi Mi5 which boasts similar features and even includes 4G+ connectivity as well as a powerful Snapdragon 820 processor. Surely if you're reading this list of pros and cons it's because you've already been mesmerized by the Pro 6's 5.2 inch screen. Don't worry, you're not the only one. In fact, it's one of the phone's most outstanding features: a 5.2 inch Super AMOLED full HD display. It's perfect for writing emails, surfing the web, watching your favourite videos on your daily commute and so much more. But Meizu didn't make this a "passive display". On the contrary, it features a technology called 3D Press which measures the intensity with which you press the Meizu Pro 6 to determine what it is you actually want to do. 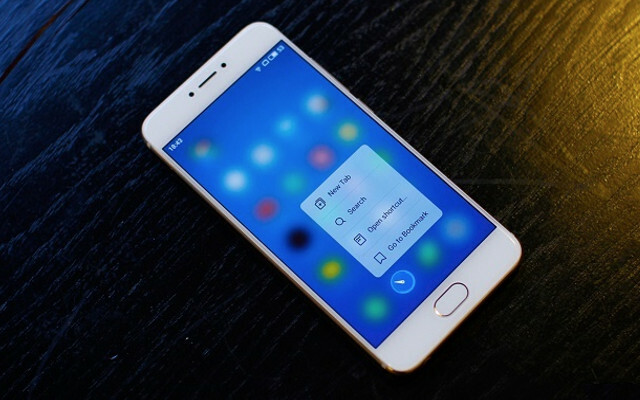 Think of it as Meizu's version of Apple's 3D Touch. Is it just a gimmick or will people actually put it to good use, that still remains to be seen. We were very quick to point out that battery life isn't exceptional. However, the charging process is actually one of its biggest pros. Specifically, according to Meizu you can charge 26% of the phone's battery in just 10 minutes while a full charge is guaranteed within the hour. Battery life isn't as much of an issue when in a quick 20 minutes you can get your phone charged up to roughly 40% of its capacity. One thing we love about the Meizu Pro 6 is that it doesn't come with different variants of RAM depending on the storage version you buy. Whether you buy the 32GB model or the 64GB model you'll still get 4GB of RAM on both. 4GB of RAM is plenty of RAM for a phone running on Android 6.0 but when you couple that with a 10 core processor with three intelligent clusters you've got yourself a truly unstoppable phone that can manage all sorts of tasks without blinking. All in all you've gotta love this phone's internals. There's no doubt in our mind that High fidelity sound is the next barrier in streaming music services. Apparently Meizu shares our belief and has given its flagship phone a Hi-Fi sound chip that provides a clean and powerful sound that can accurately reproduce music the way it was meant to be heard. Sure, many people might not even notice the difference between hearing their favourite song in Hi-Fi or through the speakers on their desktop but that won't stop Meizu from wanting to guarantee a great acoustic experience and that's something we've got to applaud. While the lack of optical image stabilization is definitely a con of the Meizu Pro 6, the set of cameras as a whole are in the pros section. Specifically the rear end camera which comes with a 21 megapixel sensor with an f/2.2 aperture and a remarkable 10 led dual tone flash which will deliver excellent pictures when the lighting isn't on our side. In conclusion: Do the pros outweigh the cons? After developing this list of pros and cons for the Meizu Pro 6 it has become quite clear that we're looking at a very attractive high end phone where the benefits surpass the drawbacks significantly. The biggest drawback as a whole would have to be the price and once that's removed from the equation the battery life would come in a strong second place. On the flip side, we're talking about a phone with a spectacular display, a 10 core CPU, 4GB of RAM, great sound quality and an excellent rear-end camera that will deliver a full charge in less than an hour. Is it worth it? Well, that's up to you.